4869 place | Vector illustration in rank M-rank: Dark Green vector template with ice snowflakes. Modern geometrical abstract illustration with crystals of ice. New year design for your ad, poster, banner. 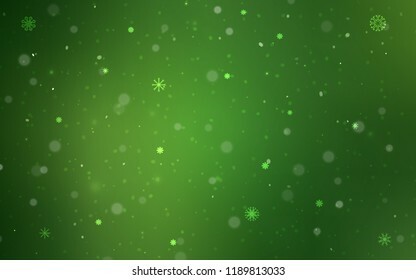 Dark Green vector template with ice snowflakes. Modern geometrical abstract illustration with crystals of ice. New year design for your ad, poster, banner.